New to Subeta and need a little help finding your way around? Or are you completely unfamiliar with the site and want to know more? Read on to learn more about the popular virtual pet/avatar site that I like to call “Neopets for adults”. I have bolded certain keywords so if you want to know something specific you can find that information easily. 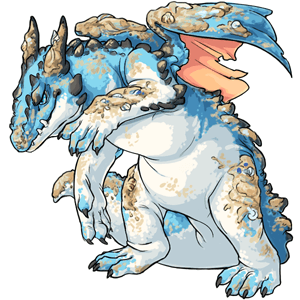 Like Neopets, Subeta is a virtual pet site, but so much more. 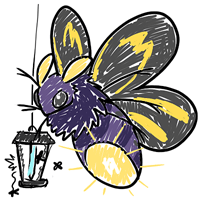 Really, Subeta is anything you want it to be. You can customize an avatar with thousands of items, including ones made by other members, go full achievement hunter, strengthen you pet by raising stats and finding the perfect weapons… Unlike Neopets, Subeta is very easy to get into. You won’t get lost in the crowd. When you first join Subeta you’ll be asked to complete a tutorial. In it you will be introduced to Subeta’s pets, quests, shops, food and toys, and get a free outfit as soon as you soon as you visit the wardrobe. When deciding which pet you want, I suggest checking out Subeta Lodge for a list of colors. There you can choose which pet you want based on the colors you like most, and know what you want to work towards. When you enter the wardrobe for the fist time time you can choose one of several outfit sets. I suggest choosing the Hogwarts themed outfit, because it’s worth the most. So you either you have some nice pieces you don’t have to buy, or you can resell it and get a nice amount of sP. You can have 10 total pets when you first join. You can get additional pet slots by purchasing them in the Cash Shop, Millionaire Center, your yearly Loyalty Box, and occasionally site events. Using these methods you can end up with a ton of pets, but I’d advice holding off from purchasing any, considering how many I’ve gotten for free. Unlike Neopets, your pets can’t die, so feeding them and even playing with them is usually not necessary. You only need to feed your pet(s) if you plan on battling with them, or to complete The Gourmand achievement. There are some pets on Subeta that you can’t get from the pet center. You can color your pets using potions. There are many, many different colors of pets available. Some are cheap and common like Arid and Lilac, and some much more expensive and difficult to get. Angelic Potion – This is one of the more expensive potions. It costs 750 CSC, or, if you buy it in the user shops for upward of 60 million. Prices of CSC and CSC items vary buy how many are available in the user shops, so this could change, and the price could go up or down. Blacklight Potion – This is also a Cash Shop item, priced at 250 CSC, or in the user shops for double digits sP. Bloodred Potion – Occasionally stocked in the Token Shop, and easy to get in the user shops for a few million sP. Chibi Potion – Sold in the Millionaire Center Center for just 1,500,000 sP. Stay away from the user shops because they usually charge more. Dark Matter Potion – This is also sold in the Millionaire Center, for 4,000,000 sP. Once again, avoid the user shops and buy directly from the source. Galactic – Make sure you have the pet you want colored active. These pets are earned by completing a special quest that is only available the 6th and 7th every month in the Coda Caves. You will be asked for crystals that you can dig for in the caves. The crystals are common and cheap, so if you don’t feel like digging, you can just buy them in the user shops. There are achievement for digging, so if you’re into that you dig even if you aren’t interested in the color. Glacier Potion – There are different ways to get this one. You can either make the potion yourself buy combining a Bucket of Polar Water, which can be found in the Polar Ice Fields, or bought from another user, and an Artificial Prism Chalice, available in the Millionaire Center, at the Genetech Lab, or buy one from the user shops. To decide which one to go with, check the prices of the individual items, against the price of the Glacier Potions being sold in the user shops. Right now, it’s cheaper to make the potion yourself. Glade Potion – This is another you can make yourself or buy in the user shops. You can take an Ornate Floral Pitcher to Peka Glade at 8-9AM or 8-9AM. Compare the prices and decide what’s best for you. Right now it’s cheaper to buy an Ornate Floral Pitcher and create a Glade Potion yourself. Graveyard Potion – You can get this potion by a rare restock in the Token Shop, or more realistically buy it from someone else. Harvest Potion – This is a fall recolor of the Glade Potion. During the Fireside event take a Glade Potion and throw it in the Bonfire. Hydrus – Go to Omen Islands and complete Merana’s Quest, which is available 12 hours a day. Make sure you have the pet you want colored active. Nightmare Potion – This is a Token Shop restock, and one of the more expensive potions on the site. Nostalgic – Take the instructions and kit for the species you want to color, and an Essence of Melody potion from the Millionaire Center, to Vanya’s Workshop. Make sure you have the pet you want colored active. Nuclear Potion – Buy a Supercritical Core and Bottled H2O and combine them at Genetech Lab, or purchase an already made potion in the user shops. Reborn Potion – This potion is available from the Token Shop and user shops, and is one of the more expensive ones. Scribble – You can get this color by using a Potion of Purity from the Millionaire Center for only 1 million sP. Don’t buy from the user shops, as they charge more. Spectrum Potion – Another rare Token Shop restock, also very rarely available from Magic Box. If you don’t have the patience buy it from the user shops. 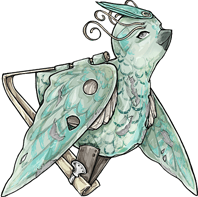 Steamwork – Buy a Yunium Key from the Masquerade event shop for 2500 trinkets, or from the user shops, then a steamwork schematic at Purveyors of Plans in Ziara City, which is only available from 8AM-8PM a day. When you have those items you can take them to Full Steam Ahead. It can take up to 3 days for you to get your pet. Storm Potion – Use a Tempest Lightning Rod to summon Tempest, wait for a Tempest Random event, or purchase from the user shops. Sweetheart Potion – This is available in L’amour Parlor, the Valentine’s Day event shop, for 100 Candy Hearts. Easily doable. If you don’t want to wait for February to come around, or aren’t able to participate in the event, you can also buy it in the user shops for a few million sP. Vibrant Potion – Rarely available in the Token Shop, also rare in the user shops. Want more for your pets? You can purchase a Custom Overlay and make your pet appear however you want! Subeta has a ton of shops available from the typical like clothing, food, and weapons, to things like Subeutique, which you need a special invite to get into. Of course, there’s also the Cash Shop, in which you can spend real world money for premium items. You don’t actually have to spend any of your own money on the site, you can also spend sP to get the individual items themselves, or Cash Shop gift cards for specific amounts of CSC. There are many different currencies on Subeta. The most common ones are sP and CSC (Cash Shop credits). The others are for specific shops like event shops, and ones for completing certain tasks. The ones you will be dealing with most besides the two main ones, are probably the event currency, Subeautique invites, Wizard tokens, and Quest Points. The Fragmentizer takes the items you don’t want and gives you crystals. The higher rarity the item, the more crystals you can get for it. You spend crystals in, what else, the Crystal Shop. There are items exclusive to the shop, and it gets cleared out from time to time. You can buy items you personally want, or you can sell them for profit. Another place the requires turning in items for a special currency is the Recycle Beast. Everyday the list of what the Recycle Beast wants refreshes. To earn points buy one of the items he wants and give it to him. The items are usually on the cheaper side, but they do go up in price once people start buying them for the Recycle Beast. The prices in the Recycling Shop range from the double digits to the thousands. Like all exclusive stores, it’s full of items you can only get there, or from the user shops for a pretty penny. If you don’t want to go through the trouble of turning in items, you can also spend sP in return for Recycling Points. Once a day you can spend up to 900,000 sP for 100 Recycling Points in return. Besides spending Wizard Tokens on the vending machines you can also use them in the Token Shop and Blackheart Hollow. 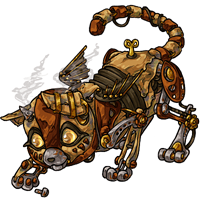 Both are rarely stocked, Blackheart Hollow even more so, but you can get great items – if you catch them. 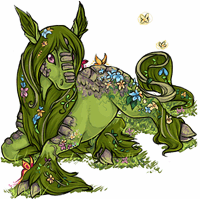 Occasionally the Glade Potion, which is one of the most popular pet colors on the site, is available in the Token Shop. It’s best to keep some Wizard Tokens on hand for when a restock happens, which will be posted in the news. 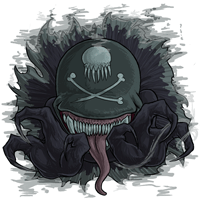 Blackheart Hollow is only mentioned when a new item is added, so watch the page for items. But don’t refresh too much, or you’ll be temporarily blocked from the page. Subeautique is probably one of the shops you’ll want to haunt, and for that you need Subeautique Invites which can be found randomly around the site. There may be times you get a few a week or sometimes you’ll go months without seeing one. Luckily, you can also purchase them from other members in the user shops. Each Subeautique Invite is good for one item, and you still have to pay sP for it. Subeautique has exclusive lines of clothes which are randomly restocked in small amounts. If you want a certain item, I recommend adding it to your wishlist so there will be a border around it and you’ll notice it at a glance. There are achievements for owning a full line of Subeautique clothes, but if you plan on just buying them from Subeautique, good luck. You’ll probably have to buy some of them from other users, or if you’re just interested in the achievement you can borrow them from someone who has them with collateral. Often Subeautique items won’t be too much more expensive in the user shops, unless is is very popular, extra rare, or retired. In the Quest Shop you can buy items with the QuestPoints you get randomly when completing quests. There are different sections where you can buy items themed to the different quests, as well as a seasonal page. The prices are quite reasonable, and if you’re lucky you can find an item worth a lot of sP to sell. Forum Tickets are pretty self-explanatory. You get them randomly when posting in the forum. The more active you are, the more you will accrue. Like all the special shops, the Forum Shop has items you can only purchase there, unless someone sells them in the user shops, which means most of the items are worth a lot of sP. If you don’t like chatting, don’t worry. Several events require simple posting so you’ll have a chance to get tickets then. You get Carnival Tickets tickets by playing games of chance at the Delphi Carnival, which I haven’t found difficult to earn, and Bathhouse Tokens from visiting the Bathhouse Pools everyday. The longer you visit the Bathhouse Pools uninterrupted the better you earn, and there’s also achievements for it. As mentioned before, Subeta does have a Cash Shop. There are many different things there such as wigs, weapons, potions, Costume Trunks, and the Boutique. You can also purchase a Neela pet there, as well as Custom Wearables made by other members. Keep in mind that many of these things retire, so if you want something make sure to get it in time. You can also buy Gold Accounts in the Cash Shop, which add extra functionality to the site. You get extra quests, an autopricer for your shop, and extra turns at the vending machine, among other things. You can buy Gold Account Medal’s for one week up to a year. The main ways to earn money on Subeta are quests and reselling. To resell you can stalk the shops hoping for a good refresh, but it’s not that most efficient way. This is where the Wizard tokens come in. There are different vending machines on the site from which you can get certain items. There’s some debate over which is “the best” vending machine, and it’s a very common question, but really it’s simple. The best vending machine is whatever one is best for you. The most popular ones are Dragon’s Hoard which gives items from the Clothing Rack, Grooming Parlour, and Sole Train, and Ocean Depths because you can vend a variety of things, and there’s a small chance to get rare and exclusive weapons. You can only vend at Ocean Depths once you have access to Omen Islands, which I’ll talk about later. Vending machines also have keywords, like green or light, which can determine which items will appear there. The best time to vend is right when new items come out. Go to the vending machines likely to get that item and grind. There is no guarantee for profit, and it can be a grind, but many users make their “living” this way. You can sell the junk you get for small amounts of sP, or Frag them. User Shops are where you can sell or buy items for other members. This is the main income for most people on the site. Make sure to keep an eye on prices to keep your shop up to date. If you have a gold account you can see what the lowest price your item is selling for, and use the autopricer to save yourself time. Another way to make a huge amount sP is selling things from the Cash Shop. You can purchase many premium items that selling for a lot of sP. There are many different things there such as wigs, weapons, potions, Costume Trunks, and the Boutique. You can also purchase a Neela pet there, as well as Custom Wearables made by other members. Keep in mind that many of these things retire, so if you want something make sure to get it in time. You can also buy Gold Accounts in the Cash Shop, which add extra functionality to the site. You get extra quests, an autopricer for your shop, and extra turns at the vending machine, among other things. You can buy Gold Account Medal’s for one week up to a year. Subeta has a huge amount of wearable items on the site, especially with the introduction of custom wearables. You can make your avatar look however you want. Want gross? Scary? Beautiful? Couture? Punk? The world is your oyster. There’s even a fansite dedicated to the most stylish avatars. Pets are important to a lot of users, but the Wardrobe is probably the most important part of the site. It offers so many options and customizability. You can also preview items you don’t own, so you can create an outfit then buy the items you want. There are many quests available but some are better than others. If you have the time, try to complete all of them, but if you can only do a few do the Cursed quests, Maleria, and never skip the Wizard and Saggitarius quests. When doing quests you typically don’t have to keep an eye on what your spending, they’ll usually at least pay you back, and you’ll probably get a lot more. The one most likely to screw you over are the Library quests. If you do the Library quests don’t spend more than a few thousand. Quentin isn’t that great either, but you might get some Mage Amulet’s which you can sell for a couple thousand sP. Every weekend there’s a Weekend Quest, where the quest rewards will get better. All quests occasionally give out QuestPoints to spend in the Quest Shop. Besides sP some of the quests give other items as well, mostly junk. Occasionally they’ll give something good or worth a lot of sP, but I find the other items helpful as well, because you can frag them. The best items you get from the quests are Wizard tokens, which are very important if you want to vend or buy things from the Token Shop or Blackheart hollow. Even if you aren’t interested in those things, you can sell the tokens to people who are. Keep an eye out for The Oracle asking you to bring her something. It’s rare to get quests from her, and she can give you good rewards. There’s one other quest that you’ll want to do if you’re interested in battling. That is Shinwa. She will send you to do different quests, so if you want to do Shinwa’s quest do them before any other quest, otherwise you won’t be able to complete her quest. Shinwa sometimes gives out items that will help your pet get stronger. You can only do Shinwa’s quest once a day. There are many different games on the site, which are more for fun than earning a ton of sP. Subeta has a lot of their own versions of real life games like Matlal’s Jewels a matching game, Caliph’s Tomb a tripeak solitaire game, 2048, Memory, Subeku, and Pete Says. The games section also houses all your collections, like plushie and beanbags. There are achievements for pretty much all of these things. One of the biggest draws of Subeta are its many events. They are spread throughout the year and often coincide with real life holidays. These are the main site events. The first holiday of the year is Survival, which is both a zombie and Valentine’s event. Weird, right? It started out with The Great Pandemic where users could get bitten by zombies and get a random strain. It’s a little different now. Now you can choose to get a new strain, or get one from previous events, and you get to keep the skin so you can zombify yourself any time. You can also purchase zombie themed items in the Zombie Den. Another new thing is the addition of the typical Valentine’s fare at L’amour Parlor, where you can also buy the Sweetheart potion. The L’amour Parlor’s currency is candy hearts, which you can get from users profiles. You can also give users “kisses” and place flowers at the “Survival Memorial”. There are achievements for buying from the Zombie Den, kissing and getting kissed, leaving flowers, and other things. Survival is a very popular event. Up next is the Atebus Revolution Masquerade, my personal favorite (my second is Survival). At the Masquerade you put on a mask, go dancing, and in return get trinkets that can be spent at Libertine Lounge and the Steamwork Menagerie which has steampunk themed items. There you can buy the Yunium Key with which you make Steamwork pets. Like all events, there are achivements you can earn. Vesnali is a spring/Easter themed holiday. You can find flowers floating around the site and gift them to other users, or have flowers given to you. 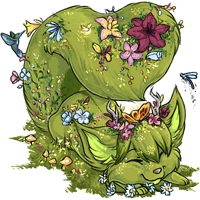 Giving and receiving flowers gets you Vesnali Coins to spend at Esther’s Shop, where you can buy spring themed items and wearables. Holidays start up again with Morostide, Subeta’s version of Halloween. Go trick-or-treating, occasionally get hexed, egged, or tpd, at other users profiles, search for items at the pumpkin patch, and carve pumpkins for your collection, for which there are achievements. In November Fireside starts, a harvest/Thanksgiving holiday. Find floating rreign items around the site to throw into the Red Rreign’s Bonfire. He may be pleased with your offering, or burn you, depending on what type of item you give him. There are a few achievements. 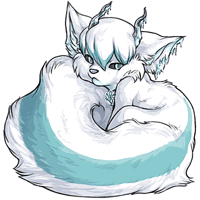 We round of the year with Luminaire which is Subeta’s replacement for whatever winter holiday you may or not celebrate. You can decorate your tree, send and receive gifts, including anonymously, throw snowballs, and catch and release fairies. The most important thing to do is visit Melody everyday, where she’ll give you free gifts. There are also the mini events of Alegarten, Keel Hauliday, Subeta’s Anniversary, and the New Year celebration. Many people like to have their pets fight in the Battle Coliseum. There you can find different opponents of various levels. They start of easy and progressively get harder. During events there will be special opponents for you to fight. You will also sometimes be randomly challenged by an opponent. Subeta also has a throwback Thursday where you can fight old opponents that are no longer available. Another way to get more challengers is to use a Summoning Tone that you can buy in the Cash Shop. The opponents you get from these are very strong, so make sure you are capable of beating them. To train your pet head over to the Training Center in Riverside Valley. You spend sP (and CSC if you want) to increase your pets stats. The stronger your pet gets the longer it will take to train them, and the more sP it will cost. Complete the Battle Quests everyday. Beating opponents nets you experience points that you can spend to increase your stats. Some members recommend holding off using your battle exp until training gets very expensive. There are stat boosters you can use to increase your pets stats, like the highly coveted Universal Remote, which can potentially get your large amounts of stats. It will sometimes show up in the Crystal Shop for 3,000 crystals, so make sure to Frag! There are other boosters that are less rare and give you less of a stat increase, like Essence of Shinwa, so do her quests everyday before all others! Of course if you’re going to fight you’re going to need weapons. Weapons come in different tiers, and you can’t use a weapon above your tier. You can see what tier you pet is, and how far you are from the next tier, by going to your pets page. Sometimes you will get tokens to use in the battle shop. Tokens come in easy to impossible. You can use these tokens to buy weapons, and crystals that you can use to modify your weapon stats. There are also scrolls you can use to provide extra damage or defense. What scroll you can use is determined by your AP, which increases by reading books. —————————————————————————- If you have any questions or suggestions, please don’t hesitate to let me know in the comments below.